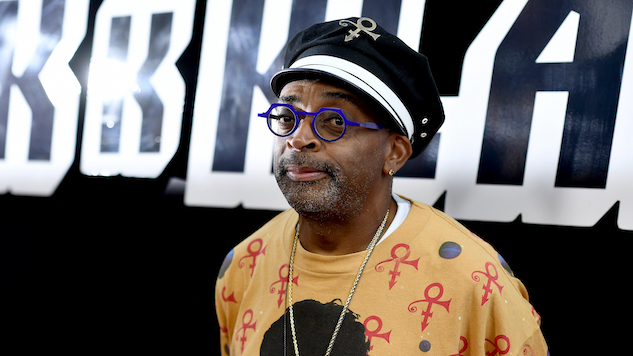 Watch the Spike Lee-Directed Music Video for Prince's "Mary Don't You Weep"
Filmmaker Spike Lee has directed a music video for posthumous Prince single “Mary Don’t You Weep,” featured in Lee’s latest film BlacKkKlansman. BlacKkKlansman chronicles the story of Ron Stallworth, the first African-American detective in the Colorado Springs Police Department, in his mission to infiltrate and expose the Ku Klux Klan. The Prince track, originally recorded on cassette in the 1980s, plays over the end credits of the film. The single is part of a previously unreleased Prince album titled Piano & a Microphone 1983. The album, due out on Sept. 21, is available for preorder here. Lee has now directed two Prince music videos, the other being “Money Don’t Matter 2 Night” in 1992. In contrast, the single “Mary Don’t You Weep” is much simpler in construction, principally featuring a piano so as to not overshadow Prince’s powerfully raw vocals. The video matches this well, featuring scenes, stills and the occasional audio from the film, all artfully layered in a way that escalates as the track does and matches its emotional intensity. The video ends with a heart-wrenching photo of both Prince and Lee, in which the musician looks regal as ever, smiling next to the filmmaker. Check out “Mary Don’t You Weep” below, plus a 1982 Prince performance from the Paste archives, and read Paste’s review of BlacKkKlansman here.